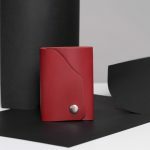 Zaccardelli Leather Co are an environmentally friendly business and take pride in this fact. Throughout our product development we have sourced materials that provide sustainability to our product line. 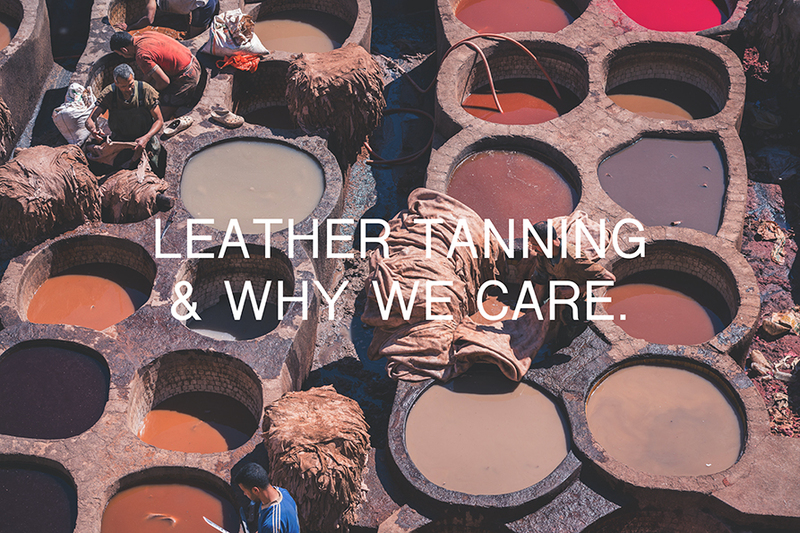 This started with sourcing our leather and selecting the process used to tan our leather. There are two types of tanning commonly used, this is vegetable tanning and chrome tanning. Chrome tanned leather is tanned using a mix of chemicals to speed up the tanning process. Vegetable tanned leather uses century old techniques to create something that is desirable and environmentally sound. There are newer, faster tanning methods which make use of minerals such as chromium sulphate (chrome tanning, chromexcel). This is done by binding chrome salts to the collagen protein which forms cross-links between the two substances, creating a stable structure of chromium-protein complex. Chrome tanning exploits large revolving drums with chromium salt solutions which “wash” the leather. Chrome tanning is considerably faster than vegetable tanning and can be achieved in less than a day. Generally, this method creates a supple leather that reacts satisfactory to water and keeps its finish throughout its usage. Chrome tanning is responsible for around 80% of all leather manufacturing worldwide due to its product efficiency, making it a low-cost way of preparing leather. 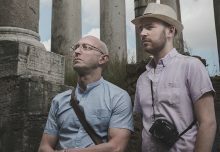 The use of heavy metal minerals, however, is often more damaging to the environment and has been deemed unviable by Zaccardelli & Co. Vegetable tanning is the oldest and most complex process for tanning leather. This is a traditional method of tanning leather, it is a method dating back to approximately 6000 BC. Like the name implies, veg-tanning is an organic method trusting on natural vegetable tannins from bark or other plant tissues. Tannins from trees such as oak, chestnut, or mimosa are popular, but hundreds of tree types and other plants are known to have been used. Vegetable tanning is generally a time-consuming process requiring highly skilled craftsmen, which involves saturating hides in large pools of intense tannins over a course of numerous months. Vegetable tanning is the most ecological and environmentally friendly form of tanning available. Zaccardelli & Co use only vegetable tanned leather for all of their products. 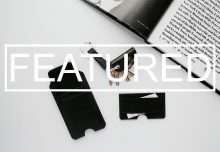 This choice is rooted in the company’s ethos of producing products that are not only uniquely handmade but are also produced with sustainable materials. 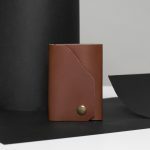 Vegetable tanned leather provides the material for a product that you can trust has been produced from the most environmentally friendly leather. 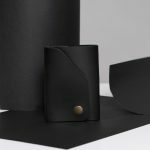 Products produced from vegetable tanned leather which will age uniquely and will provide peace of mind for individuals who are environmentally cautious.